Fish Report - Old Glory and Mustang are going for sure! 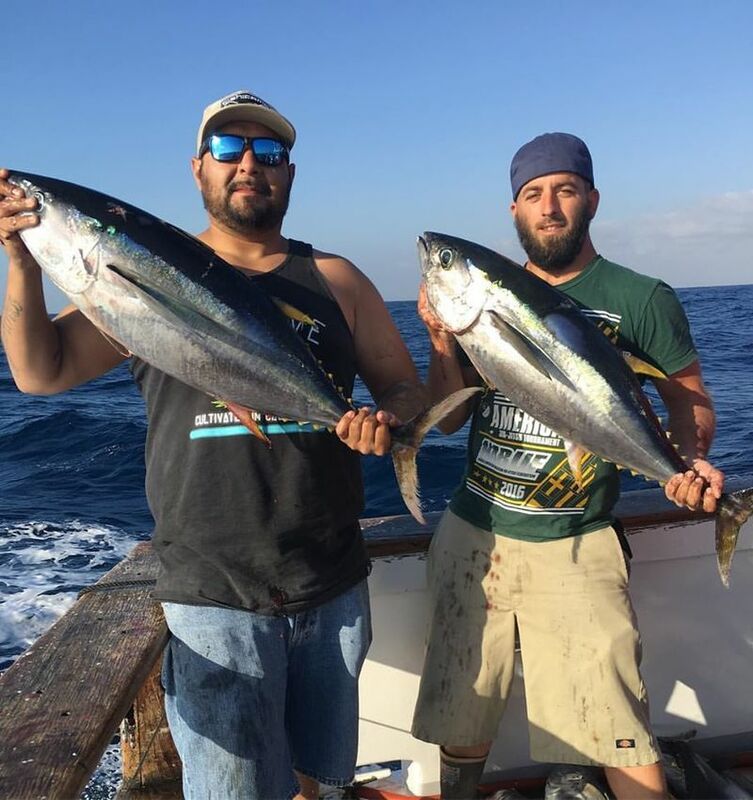 Old Glory returned this morning with 111 Yellowfin Tuna (40-60 lb average!). 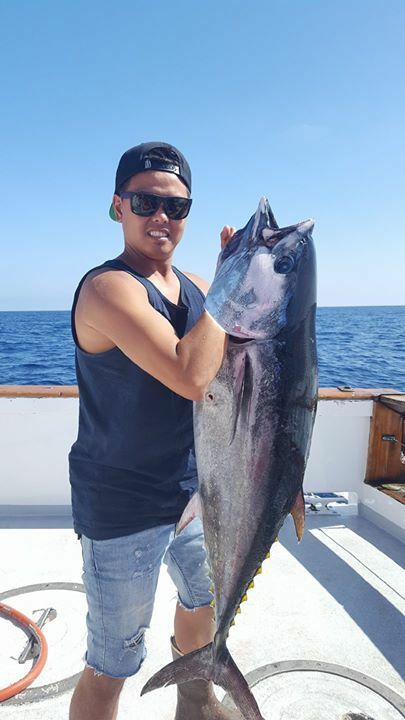 Old Glory departs tonight at 8 PM for a 1-1/2 Day trip to target Bluefin Tuna. $325. Book Now. also departing: Mustang: 1-1/2 Day: 8 PM: $325: Book Now. Grande: Full Day Islands (passport required): 5:30 AM: $155: Book Now. Premier: 1/2 Day Local: 6:30 AM and 1 PM: $52: Book Now. See the Complete Trip Calendar Here. Looking for a post-Thanksgiving Family Adventure? Whale Watching begins Friday November, 23. Check it Out! 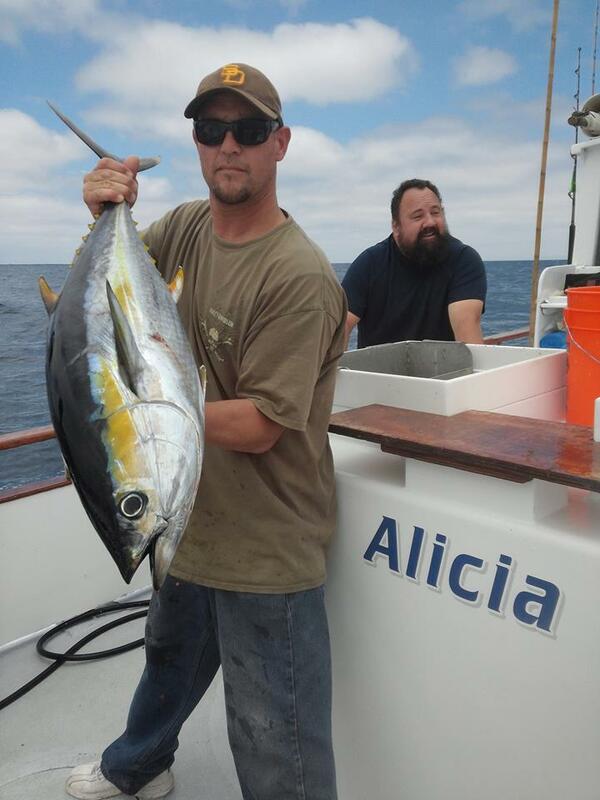 Bluefin, Yellowfin & Yellowtail...OH MY!